After launching Africa’s first Water Fund in Nairobi, Kenya in 2015, TNC analyzed 30 major African cities and identified the top ten candidates where a Water Fund could help safeguard water supplies, biodiversity, and rural livelihoods. Of these, Cape Town, South Africa was the most promising. In 2016, the City of Cape Town, South Africa invited TNC to explore establishing a Water Fund to help address long-term water security concerns while tackling near-term social and ecological priorities. Ecological: Water supply and recharge areas targeted for conservation include some of the rarest and most threatened plant communities on Earth as well as high priority climate adaptation corridors. 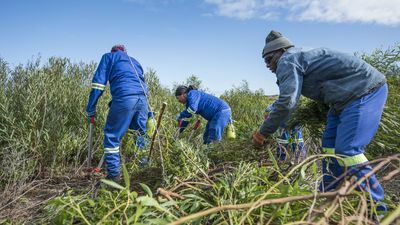 Social: Conservation investments will protect water supplies to economically disadvantaged communities and could generate direct and indirect employment opportunities in ecological infrastructure projects and tourism operations. Economic: Savings on future water treatment costs alone could offset much or all of the costs of watershed conservation in Cape Town’s supply and recharge areas, providing dramatic return on investment. 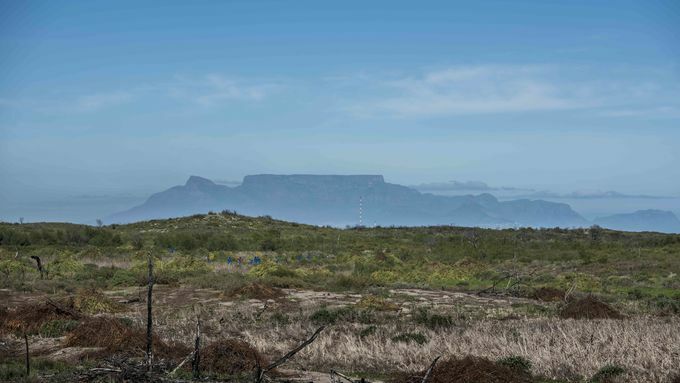 Cape Town Faces "Day Zero"
Cape Town’s 4 million residents could face dry taps and queues at water collection points after the worst drought in a century has left the city’s supply dams nearly empty. "Day Zero" — the day when residential water supplies run out — was initially predicted to fall mid-April 2018, but strict water rationing measures and citywide informational campaigns have deferred this, much to the relief of Capetonians. Access this article to learn more. Furthermore, lessons from Cape Town will help advance replication of the Water Fund modelacross Sub-Saharan Africa via outreach and a practical toolkit designed to aid municipalities in launching their own Water Funds. 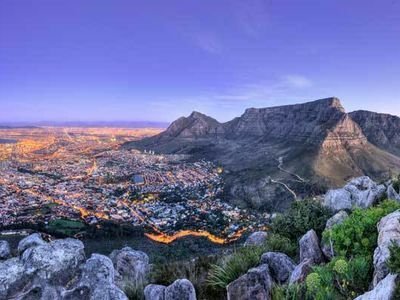 With an anticipated launch set for November 2018, the Greater Cape Town Water Fund will be Africa’s second water fund. Investment is needed now to expand TNC- South Africa’s staff capacity to facilitate outreach, training, and start-up of additional water funds to meet the growing demand and keep pace with mounting threats to water security in South Africa. Water is our most precious resource and of utmost importance for sustaining life, progressing as a City, and stimulating economic development. The Greater Cape Town Water Fund comes at a time when the City’s water supply is under severe pressure as a result of the drought. I believe the Water Fund is an important mechanism to strengthen the City and its partners’ attempts to ensure a sustainable water supply. I welcome the Water Fund initiative.